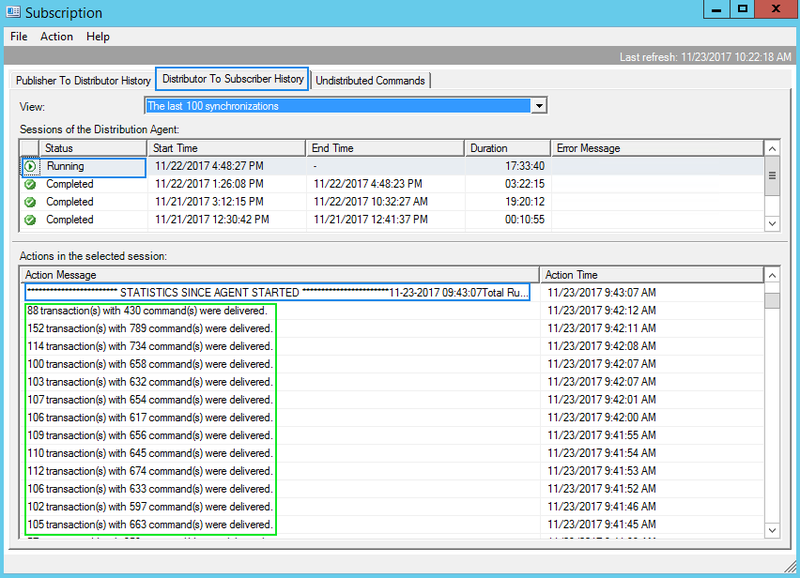 Agent Profile - Default - HistoryVerboseLevel 1 provides information in the History Tracking tables in the Distribution Database. Level 1 is limited data set provided. Switching this to -HistoryVerboseLevel 2 will provide additional history and run-time statistic data that can be used for troubleshooting SQL Server Replication connectivity or performance problems or other replication thread metrics. You can choose to switch temporarily to Level 2 and then return to default level of 1, or leave it on Level 2 if your system is not too busy and can handle the extra database overhead and growth. 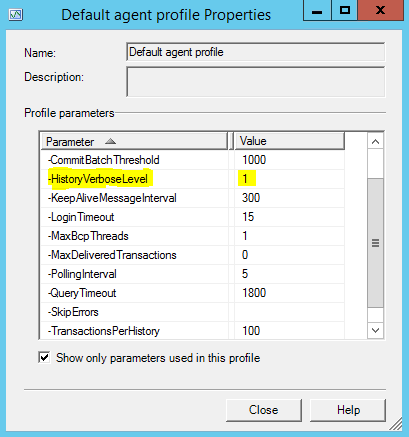 Ensure you monitor this additional Agent tracking overhead though if you chose anything other than the default level. You will need to stop and restart the Replication Agent for the setting to take effect. Select the “STATISTICS SINCE AGENT STARTED”, then CTRL-C to copy & then CTRL-V to paste into Notepad for example. Select "Action" in Menu and "Auto Refresh" to watch real-time metrics be displayed.